On April 19, 2018, the Center for Materials Processing Data (CMPD) held its official launch meeting at ASM International’s headquarters in Materials Park, OH. 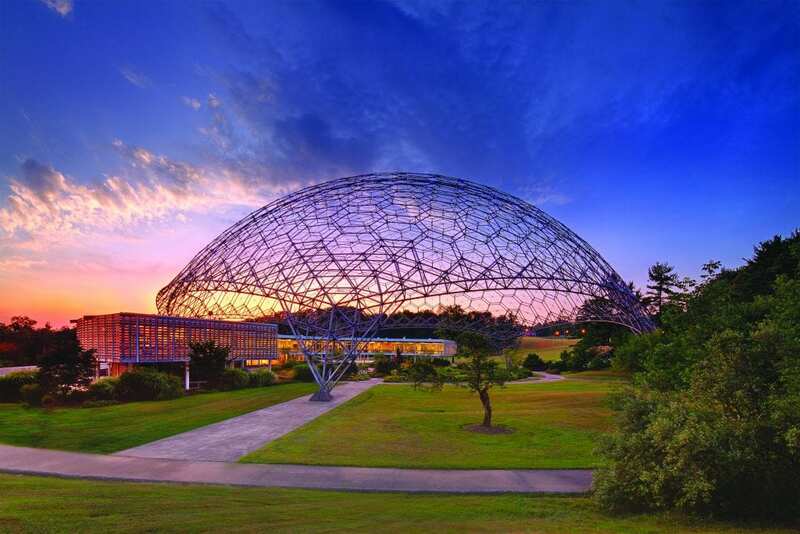 The location of the launch, in the iconic Geodesic Dome, was the perfect place to begin a new venture in the burgeoning world of materials data and informatics. A results-driven manufacturing data center. The Center for Materials Processing Data (CMPD) generates and collects materials property data for use in manufacturing process models. This data, often transient – time and/or temperature dependent – is difficult to find, yet imperative to produce accurate models. CMPD members will have exclusive access to this data, and will play a large role in deciding what data are generated and when. Industry needs data. CMPD is your source. Members will also have access to some of the best laboratory equipment in the world at the three partner universities: Worcester Polytechnic Institute, University of Connecticut, and University of Buffalo. A fourth partner, ASM International, offers access to the world’s largest metals-focused materials engineering community as well as additional data resources, and the latest information from the field of materials design and manufacturing.